Drinking lots of alcohol in a short space of time will not only get you drunk but may also upset your heart rhythm, say researchers. They did a field experiment in Germany with 3,000 adults at Munich’s famous annual Oktoberfest. The odds of heart arrhythmia increased as beer consumption went up. Most of the arrhythmias were “apparently harmless” sinus tachycardia, where the heart just beats faster than normal, but a few were not. Around 5% of the arrhythmias recorded were potentially more worrying, and included one type called atrial fibrillation, which, if it persists, is linked to an increased risk of stroke and heart failure. These odds are very low, which meant there was no significant link between alcohol and dangerous heart arrhythmias in the study. But there was a significant link between alcohol consumption and more benign arrhythmias. The volunteers, who were all deemed sober enough to take part in the tests, had heart traces taken using a mobile phone app while they partied. 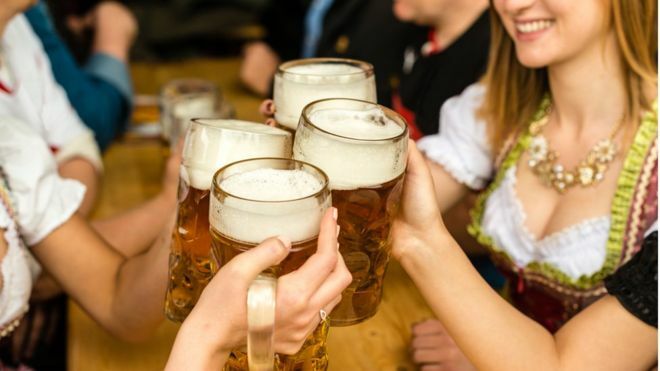 Although it is not surprising that heart rate might increase in a party atmosphere, sinus tachycardia was far more common among the drinkers who had downed a few Steins of beer at the Oktoberfest than in the 400 or so abstainers. The likelihood of a cardiac arrhythmia increased as the number of grams of alcohol per kilogram of blood (measured with a breathalyser) went up. Even though the “lively atmosphere in the beer tent” was not the ideal setting for doing the heart traces, the researchers were able to get reliable recordings for almost all of the volunteers, the European Heart Journal reports. They found arrhythmias in 30% of these 30-second recordings – more than would be expected in a general population. The researchers think it is possible that innocent arrhythmias could sometimes lead to more serious ones, such as atrial fibrillation, within days of drinking lots of alcohol, although they did not test this out in their study. They now plan more research to check if this “Holiday Heart Syndrome” – arrhythmia triggered by an a sudden alcohol binge – exists and, if it does, whether it remedies itself. Researcher Dr Moritz Sinner from the University Hospital of Munich said: “What we have found is that alcohol does interfere with heart rhythm, which hasn’t been shown like this before. 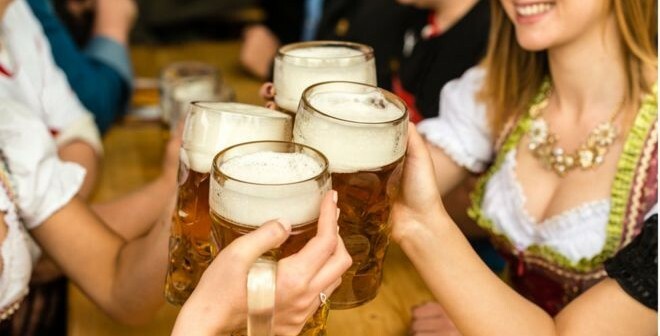 Dr Mike Knapton from the British Heart Foundation said: “Using the Munich Oktoberfest as a real world laboratory is a unique approach and has given us an insight into how heavy drinking over a short space of time can increase people’s chances of having an abnormal heart rhythm. However, longer-term follow-up is needed to confirm if this type of drinking has a lasting effect in giving people potentially life-threatening arrhythmias. Next Article Reality Check: How much will Labour’s NHS plans cost?